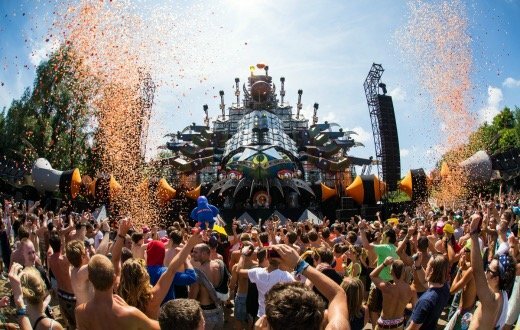 For most of Europe, there’s no bigger dance music massive than Tomorrowland. We already brought you a live stream from the Boom, Belgium music festival and broke some major new music debuts after the fact as well, but in case you wanted to relive some of the bigger sets in all their splendour, then look no further. Featuring artists as big as Martin Garrix, Hardwell and Tiësto as well as underground favorites like Carl Cox, Richie Hawtin and Solomun, there’s something for everybody in the live sets below. Even Dimitri Vegas & Like Mike’s project with Steve Aoki, 3 Are Legend, played a set that an attendee enjoyed enough to upload. It’s safe to say that Tomorrowland marks the height of festival season, with many artists debuting new music at each edition – or, in the case of Armin Van Buuren, announcing the birth of a child as he did at the 2013 edition. While there are still plenty more massives before the season draws to a close, the passing of this last weekend marks the beginning of that inevitable shift back to real life. Listen to the live set recordings from Tomorrowland below, and let us know which is your favorite in the comments section.